Chickadees, titmice and … goshawk?? 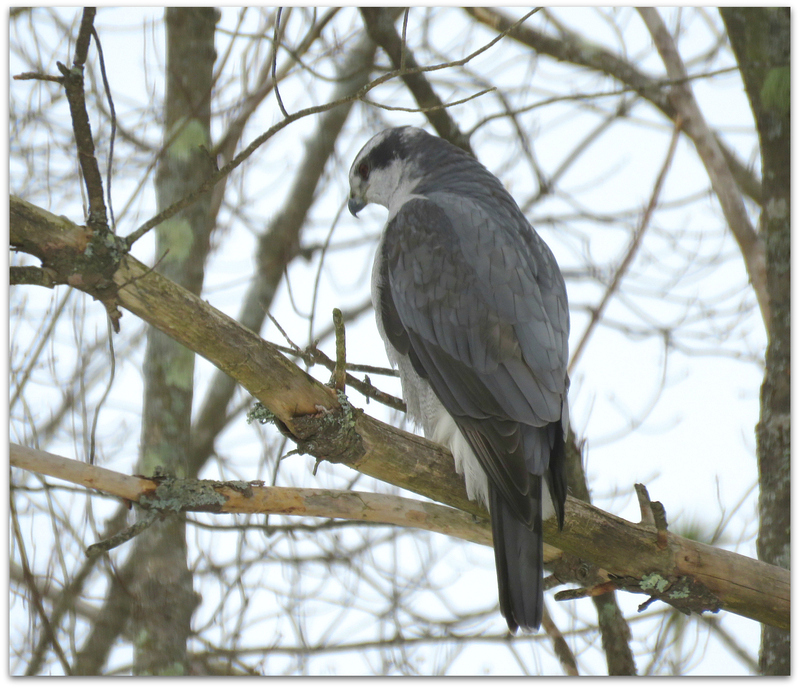 A strange and wondrous sight: a Northern Goshawk visited our backyard this morning around 11 a.m.! I have never seen one before, or heard of them around here. I can only guess this one has come “south” looking for food. We have three feet of snow on the ground and another two-day storm on its way with 12-18 inches more predicted. My eldest daughter saw it too. We are excited! 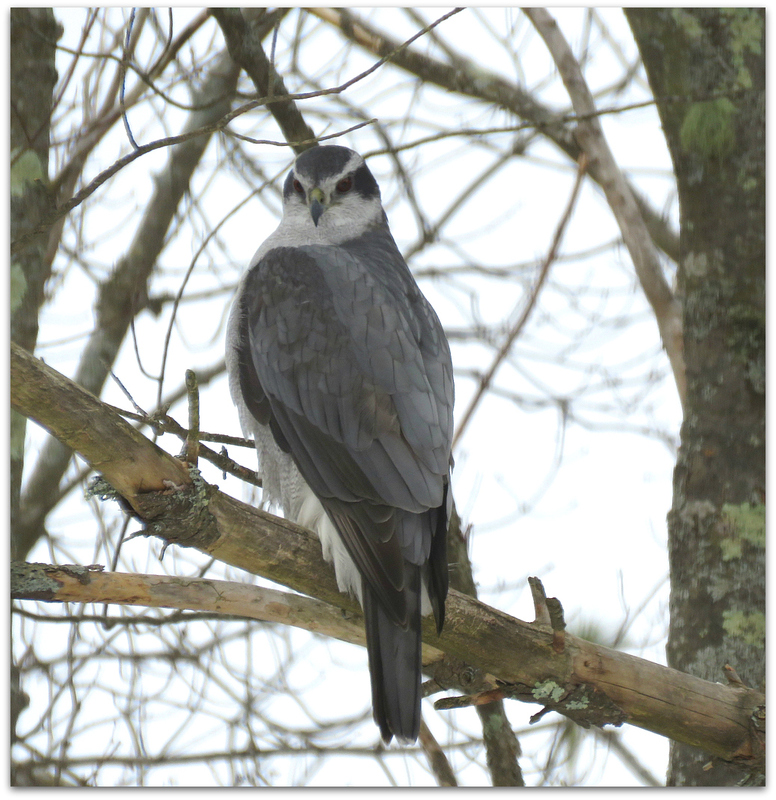 The northern goshawk is considered a secretive raptor, and is rarely observed even in areas where nesting sites are relatively close together. During nesting, the home ranges of goshawk pairs are from 1,500 to 10,000 acres. In ancient European falconry literature, goshawks were often referred to as a yeoman’s bird or the “cook’s bird” due to their utility as a hunting partner catching edible prey, as opposed to the peregrine falcon, also a prized falconry bird, but more associated with noblemen and less adapted to a variety of hunting techniques and prey types found in wooded areas. The northern goshawk has remained equal to the peregrine falcon in its stature and popularity in modern falconry. Goshawk hunting flights in falconry typically begin from the falconer’s gloved hand, where the fleeing bird or rabbit is pursued in a horizontal chase. The goshawk’s flight in pursuit of prey is characterized by an intense burst of speed often followed by a binding maneuver, where the goshawk, if the prey is a bird, inverts and seizes the prey from below. The goshawk, like other accipiters, shows a marked willingness to follow prey into thick vegetation, even pursuing prey on foot through brush. 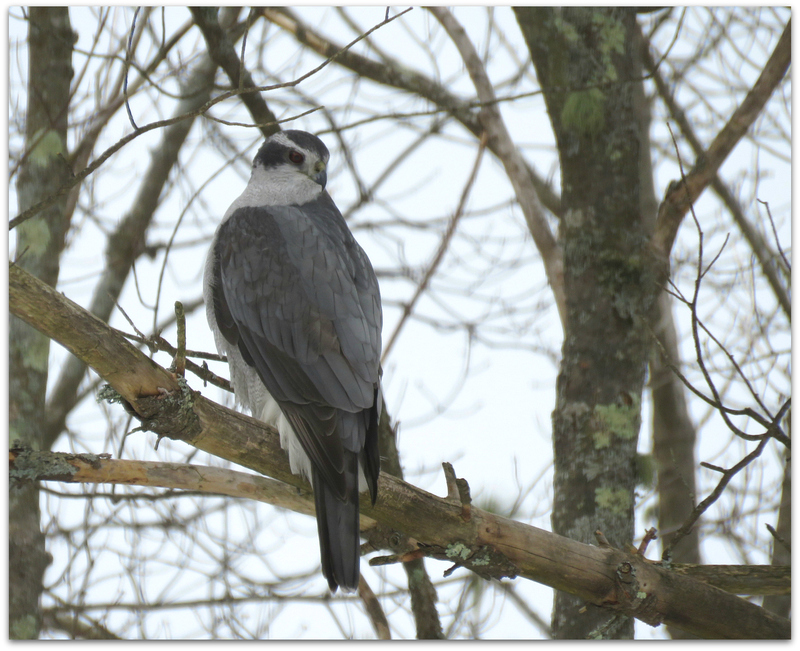 This entry was posted in Uncategorized and tagged birds, Northern Goshawk on February 7, 2015 by Amy.